There are some textiles that while one can marvel at the simplicity and quiet beauty of the piece, one also acknowledges the fine workmanship as well. This piece is such a piece. 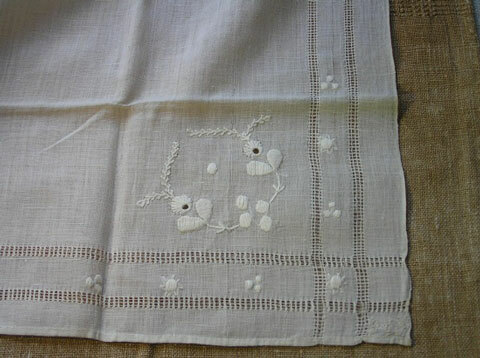 To start, the handkerchief itself is made out of a very finely woven plain weave cotton. 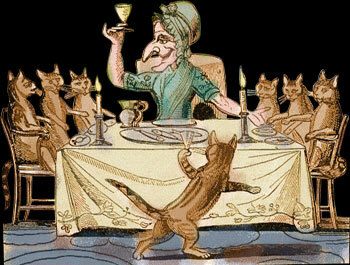 It is embellished with nicely executed, but simple, drawn work borders. 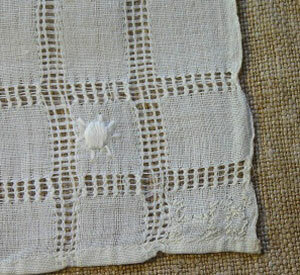 Each corner within those borders, (on the inner body of the piece) is worked in white cotton floss in two different wreath-like designs each opposite the other. Within the borders themselves various motifs taken from the interior wreaths are worked. 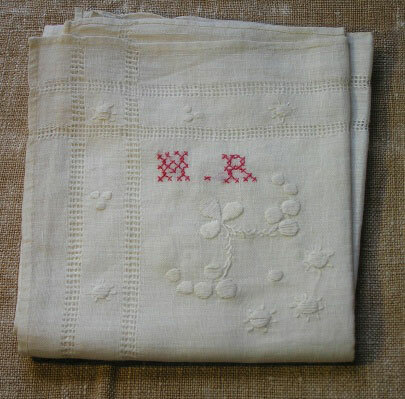 In the upper right-hand corner of the body of the piece, the initials “H.R.” are cross-stitched in red floss, while a much cruder version is stitched into the lower right edge. It measures 18 inches wide by 21 inches long, and is in excellent condition with no rips, holes or tears. I purchased this piece years ago at a sale in Lancaster County, PA and have always marveled at its subtle elegance.